In 2010 I completed my studies in Geosciences, focusing on micropaleontology, at the Department of Geoscience of the Eberhard Karls University Tübingen in Germany. I enjoyed the wide spectrum of disciplines offered by study in Geosciences; however during my undergraduate studies I had already become particularly interested in the marine realm and climatology. My interest in the marine environment led me to focus my diploma research on the seasonal and inter-annual variability of planktonic foraminiferal fluxes in the southwestern South China Sea. I investigated how planktonic foraminiferal fluxes and species composition changed over time and how underlying parameters e.g. temperature and chlorophyll concentrations affect the foraminiferal assemblage. The aim of this study was to evaluate the effects of ecological and climatological parameters observed in the special setting of a tropical Western Pacific marginal sea on planktonic foraminiferal fluxes. After my graduation I was offered a PhD within the Marine Geology and Chemical Oceanography department at NIOZ on the island of Texel in the Dutch Wadden Sea. My PhD project “Planktonic foraminifera – Geochemical variability, eddies and seasonality in the Mozambique Channel” was part of the GATEWAYS Marie-Curie ITN project. This European project investigated the sensitivity of the Agulhas Current and “Agulhas leakage” (the shedding of warm and saline waters from the Indian Ocean into the South Atlantic) to changing climates of the past and modulations of the Atlantic circulation by the leakage. 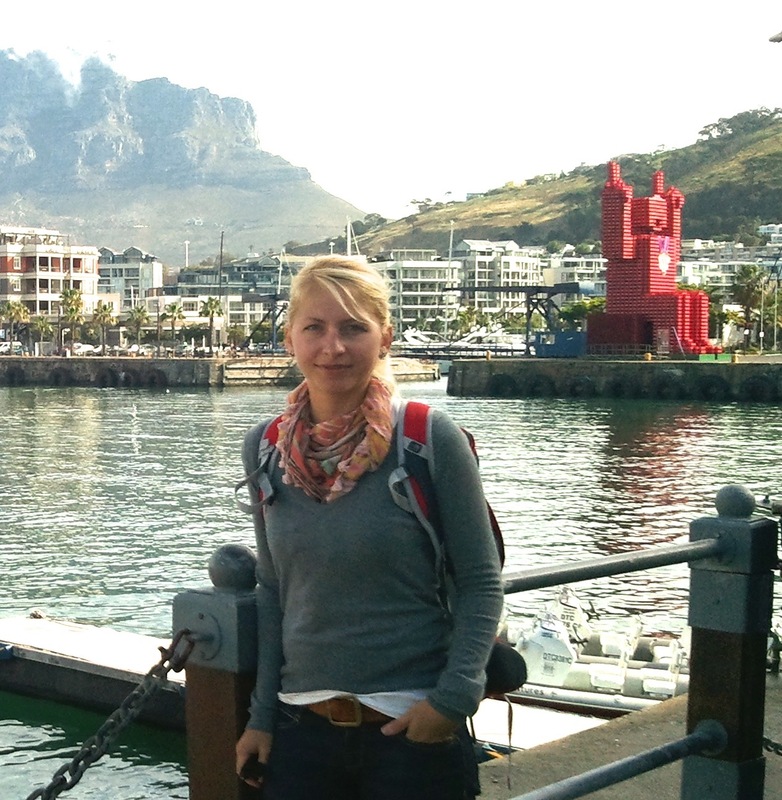 My research aimed to investigate the potential of planktonic foraminifera for proxy development in one of the source areas of the Agulhas Current – the Mozambique Channel (MC). A big part of the hydrographic variability in the MC is associated with mesoscale eddies passing through the Channel. It has been suggested that these eddies occasionally trigger shedding of Agulhas Rings that carry warm and saline waters into the South Atlantic, potentially providing the necessary negative bouyancy needed for deep-water formation in the North Atlantic. This implies that variability in the MC may influence leakage into the South Atlantic Ocean. During my PhD research I focused on biomineralization of planktonic foraminifera and examined in high resolution the species-specific imprint of hydrographical controls onto the geochemistry of carbonates formed by planktonic foraminifera, with a particular focus on the development of an eddy proxy for paleo-application. In order to develop a precise understanding of how biological controls and environmental changes imprint onto the geochemistry of foraminiferal calcite I used high-resolution trace element LA-ICP-MS and stable isotope analyses. For my ARAMACC ER position I will be working with John Hartley at Hartley Anderson Ltd. in Aberdeen. apply crossdating and geochemical techniques to existing and upcoming environmental monitoring contracts.